In the last few years, there had been an observed exodus of Nigerian companies to Ghana and the flow is becoming endless despite claims of the performance of the Federal Government’s Economic Recovery and Growth Plan (ERGP), the flagship development policy of the current administration since 2015. Checks by Business Hilights Intelligence Unit (BHIU), an independent economic research arm of Business Hilights Group, showed that contrary to the sustained Nigeria’s mad-rush for jumping tax reforms that seem to be shocking existing businesses and startups, the current administration in Ghana is shifting income generation attention from tax-driven earnings to production-powered ventures with salutary tax regime. For instance, just as Nigeria is now considering hike in Value Added Tax (VAT) also known as Goods and Services Tax (GST), Ghana is already thinking outside the box by neutralizing several VAT regimes to spur growth in businesses. Currently, Ghana has abolished VAT/GST on real estate sales; Ghana has abolished VAT on financial services; Ghana has abolished capital gains tax on sales of shares on the stock exchange; Ghana has abolished import duty on spare parts; and it has further abolished the 1% import levy. Besides, the administration of President Nana Akufo-Addo has abolished VAT on domestic airline tickets which though had been announced as stopped in Nigeria, but industry operators say it is still being charged till today. Other ease of doing business reforms regarding taxation in Ghana includes the reduction to a very significant level, VAT on small traders from 17.5% to 3%. 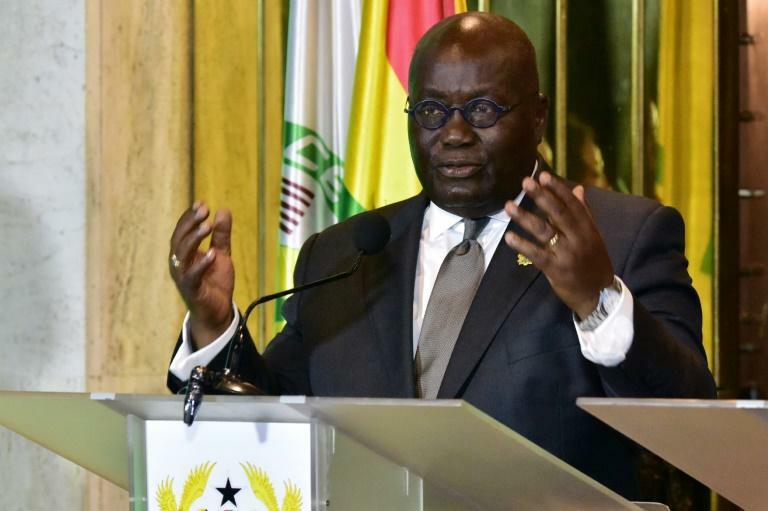 Earlier last week, Business Hilights Ghana Bureau chief reported that Ghana is going to abolish all import duty on raw materials and machineries imported into Ghana for the development of infrastructure and telecoms networks. Additional findings in Ghana economic development agenda showed that the economy is currently embarking on a massive industrialization drive tagged: ‘One District-One Factory’ (ODOF) to fire up job creation and industrial multiplier effects across the 216 districts in Ghana, thus defining organized focus on production activities. The ODOF policy is being supported by rising investment in power supplies which is now encouraging inflow of European and American investors. In electricity supplies, Ghana has two major advantages including gas powered plants and upgrade of dams and direct transmission to industrial regions at salutary tariffs. With a population of 28 million plus, Ghana had steadied electricity generation growth from 4,577MW in 2017 is currently working on 2 power plants including a 400MW LNG-fired plant and a 600MW plant being built by Siemens. World Bank in its latest report on Ghana averred that the economy has started an upward trajectory.